In 1849 Elizabeth Blackwell became the first woman to graduate from medical school. It was 160 years ago, in 1849, that a student who “could not bear the sight of a medical book” and who complained that “the very thought of dwelling on the physical structure of the body and its various ailments filled me with disgust” graduated from medical school to become the world’s first female physician. 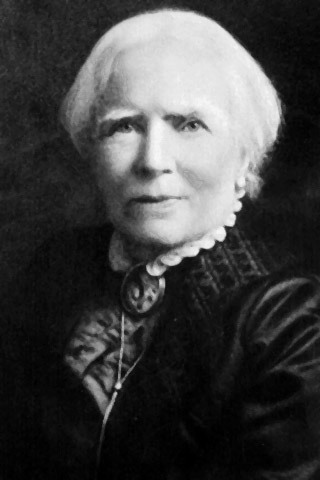 Elizabeth Blackwell, the daughter of an abolitionist and friend to another, Harriet Beecher Stowe, had long identified with causes of social justice but had not yet found her place in the world after graduating from college. When a terminally ill friend told her, “If I could have been treated by a lady doctor, my worst sufferings would have been spared me,” Blackwell decided that the field of medicine must be opened to women. And, craving an alternative to the dull prospect of marriage, she decided to make the campaign her own. Once she graduated, to gain clinical experience Blackwell moved briefly to Paris, where she studied at the women’s hospital La Maternité. It was there she contracted purulent ophthalmia from a young patient. After nearly going blind, she lost her left eye, effectively ending her ambition to become a surgeon. But Blackwell went on to study at London’s prestigious St. Bartholomew’s Hospital in 1850 and then returned to America. On settling in New York City, Blackwell had a hard time attracting patients. In 1856 her younger sister Emily completed medical training at Case Western Reserve University in Cleveland, and with physician Marie Zakrzewska, the sisters established a hospital for women and children. A host of firsts followed—Rebecca Lee Crumpler, the first African-American female doctor, received her degree in 1864; six years later, the University of Michigan became the first state medical school to formally admit women—as did one notable last: In 1960 Philadelphia’s Jefferson Medical College became the final school to accept female students. By 2005, 47.1% of medical school graduates were women. Still, they often stick to fields traditionally associated with women: 70.1% of residents specializing in pediatrics are female, as are 75.6% of those in obstetrics and gynecology. What’s more, women lag particularly in surgery, making up only 27.9% of surgery residents. The field, it seems, could use someone like Blackwell. Thirty years ago, the first test-tube baby made medical history.